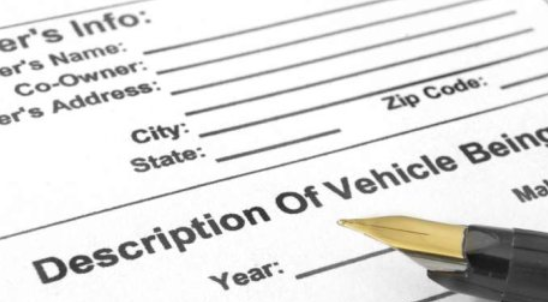 When purchasing a vehicle in California, you are required to register that car in your name and apply for a title. When you buy a car from dealers, they normally handle this paperwork on your behalf. If you choose a private seller, you will be responsible for paperwork handling. Certificate of Title/Application for Duplicate/Paperless Title, signed by you, the seller or leaseholder. If there is more than one seller or buyer on the title, all signatures will be required when transferring the title. $20 for Certificate of Title only. $20 for License plates (regular). It is also advisable to obtain a Bill of Sale from the seller. A bill of sale is not needed during vehicle transfer and registration but you might need it if asked to provide it. Transferring the title into your name is a bit cheaper compared to registering your vehicle. You must get an estimate of the registration fee before vesting your local DMV office. There are many ways of doing so but the most preferred way is using a handy Vehicle Registration Fee Calculator. You can also request a specialized or personalized license plate, but you have to pay more for the services. For more information about title transferring in California, visit the DMV’S title and registration FAQs. If you buy a vehicle from out of state, you must register it in California and file the change of ownership within 20 days from the date of purchase. Make sure the car you buy from another state meets all the requirements for registration in California. The California Department of Motor Vehicles has a brochure with more information about nonresident vehicles registration guidelines and how to get started. Most recent title from California or another state. California nontransferable registration card, if applicable. The most recent title signed by the previous owner(s). A completed Form REG 343 (Application for Title or Registration). A motor vehicle bond ― if vehicle ownership is not fully proven with the documents submitted.